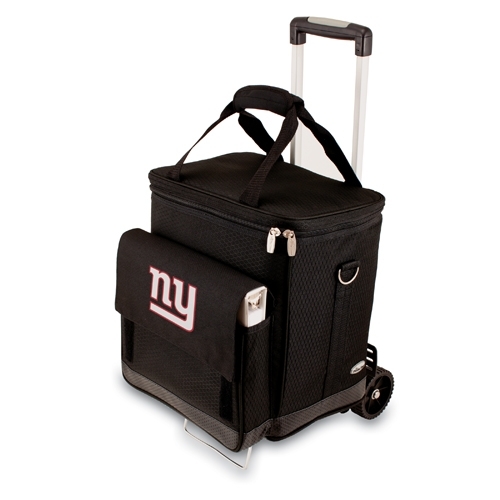 Show your team and school spirit with this cooler tote on wheels with your favorite NFL team or Collegiate School name. Get to you next sporting event in style. 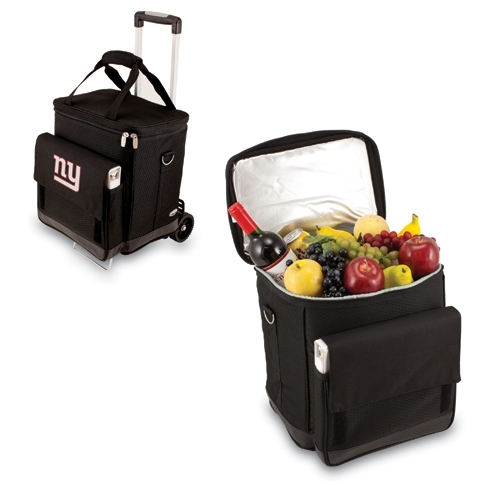 Designed as an insulated 6 bottle wine carrier, this cooler comes equipped with padded, removable interior dividers and a removable water resistant interior lining both which you to convert the wine cellar into a handy rolling cooler for food and beverages. Measures 17" x 14.25" x 7.5". 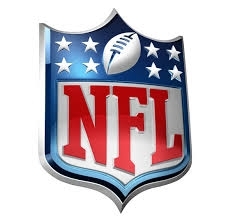 Made of polyester, chromed steel.